Hyphens can be troublesome little pipsqueaks. You see them used incorrectly just about as often as you see them used correctly. 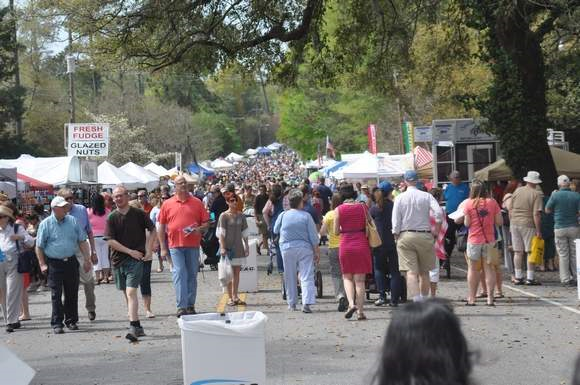 Today I went down to the 42nd Annual Flowertown Festival in Summerville, South Carolina, a street fair that covered many blocks on Main Street and much of downtown Azalea Park. The gorgeous azaleas, already in full bloom, filled the park with pinks, lavenders, and whites. Showy dogwoods displayed their white flowers. Beautiful flowers and beautiful weather. Perfect for the festival. Street vendors lined the streets and park pathways: arts and crafts, ornamental garden décor and wooden outdoor furniture, flowers and veggies, jellies and sauces, doggie leashes and outfits, gourmet foods and hand-made soaps, and much more. Food vendors claimed their share of the festival real estate, too. And among the usual hamburgers, hot dogs, and chicken-on-a-stick food vendors, I found the following items for sale: deep fried Oreos, deep fried Twinkies, deep fried Snickers, deep fried peaches, and deep fried apple fries (all minus a required hyphen). Being a picky editor, I cringed about the spelling/usage, but I still ate a deep-fried Oreo, snickering all the while about the lack of hyphen. In a multi-word adjective (phrasal adjectives), when each word by itself does not describe the noun, you must use a hyphen. 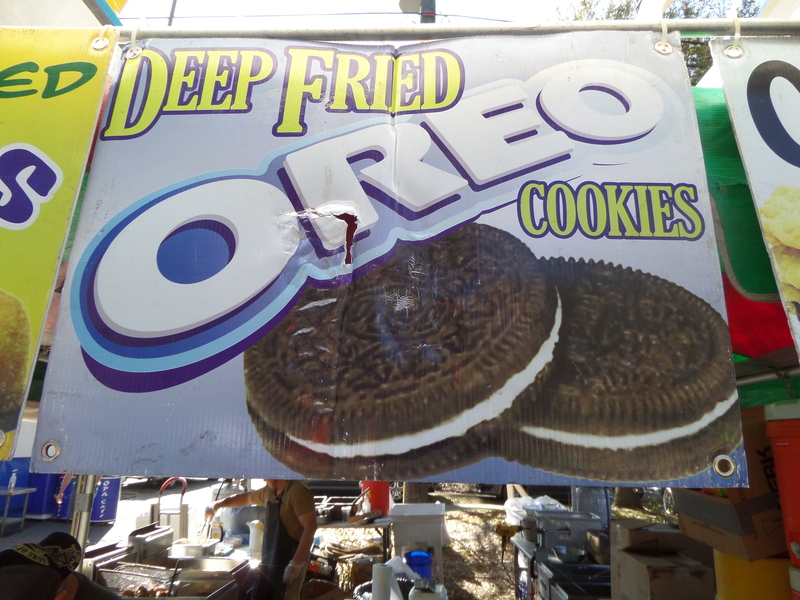 These high-calorie yummies are neither “deep Oreos” nor “fried Oreos,” but “deep-fried Oreos” (Oreo cookies that have been submersed in hot oil and fried). Therefore the multi-word adjective should have a hyphen: you need both deep and fried together to describe this yucky incredible treat. Obviously, rules for hyphens do not apply at street festivals, county fairs, zoos, and other food-filled outdoor activities! Yes, hyphens can be tricky. I plan to do a few more posts on hyphens in the near future. Commas are another bugbear! I’ll do a few posts on them, too. Thanks for visiting my blog. Thanks, Amos. Nice to meet you. I do plan on write about more quirky writing errors. Thanks for the visit to my blog. I’ve started following you (not stalking! ), so I’ll catch the new posts, plus I might have to read through some older ones when I get a bit of a breather. HaHa. Yes. I went back to the street fair again today and drooled over the deep-fried Snickers…but I did resist.